So, living in Italy, well, about that … let’s say the distance to the nearest Whole Foods or Planet Organic is also a good indication of how distant my current diet is from what I used to eat in London. Hummus and kale chips, green smoothies and the odd raw cheesecake have been replaced with weekly trips to get a huge gelato, lots of pasta (and all made from white flour) and a fair amount of fritto misto (deep fried fish and seafood) … all of which is typically preceded by copious amounts of Mozzarella and Prosciutto. While I am in foodie heaven I have been feeling a little, gulp, guilty, about all these indulgences. 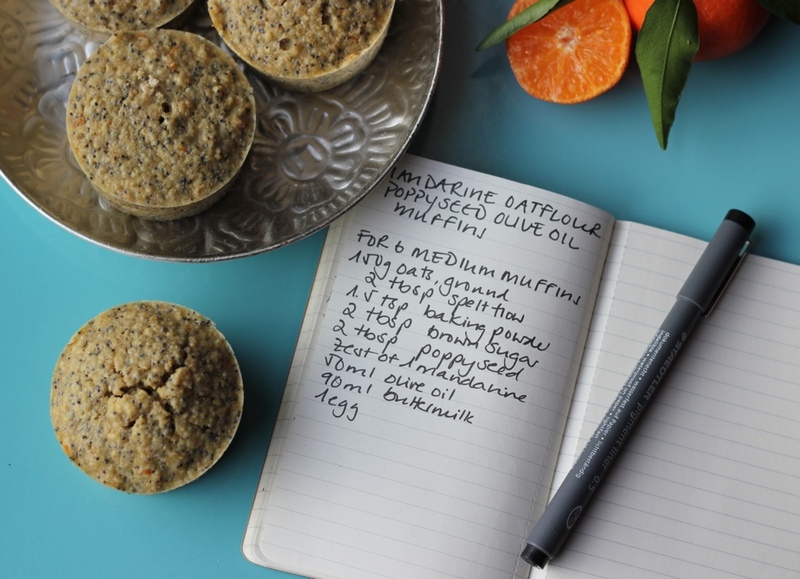 So this weekend I set out to come up with a healthier muffin recipe using less fat (and less saturated fat) and with a bit more staying power. Oats are not only glutenfree (check the labelling though as they might not be 100% gluten-free depending on the facility where they are produced) and are one of the few foods that actively reduce cholesterol. Also, thanks to years of eating Porridge for breakfast, I know that oats have great staying power (a bowl of Porridge used to be the only thing that would keep me full till lunch) – very useful considering I typically don’t eat lunch until around 2pm these days. 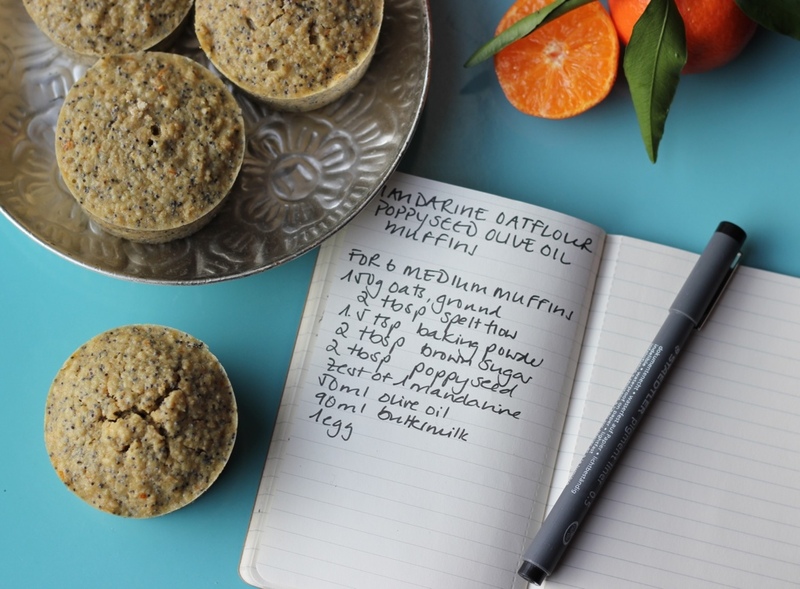 I tweaked a number of recipes I came across and came up with the one below, yielding slightly less airy (but no less delicious) muffins than your typical muffin. So delicious in fact that we finished 5 between the two of us in less than a day (so much for thinking these would become our breakfast for the best part of this week). – Ale and I are going through mandarines like it is no-one’s business – as in, we are devouring about 4kg a week (and its only 2 of us, and we are out at work all day) … what can I say, they are in season and taste heavenly … so we always have some at home which just scream to be zested into something. Oh and those poppy seeds? 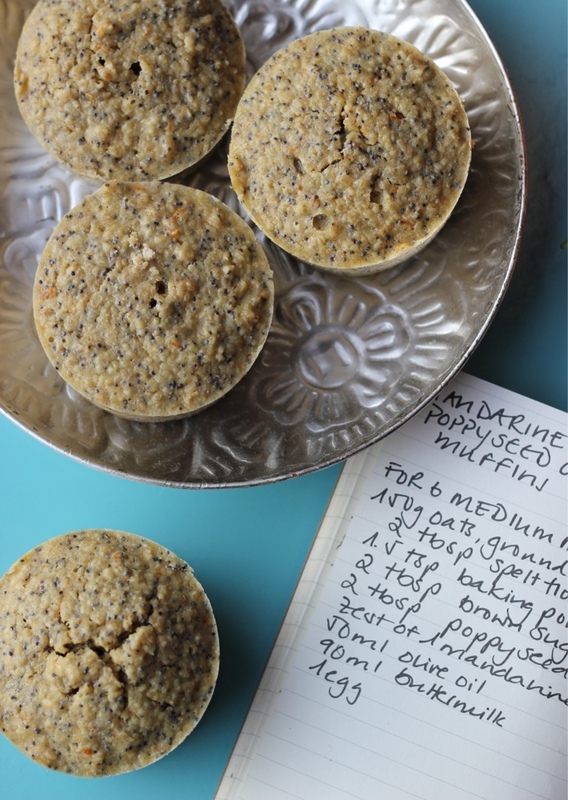 Totally optional but I have an abundance of poppy seeds in my pantry and love the little crunch they give these muffins. 1. Pre-heat the oven to 180 degrees and lightly grease a muffin tin big enough to hold 6 medium muffins. 2. Combine all the dry ingredients in one bowl, whisking together with a spoon. In a second bowl, whisk together the olive oil, buttermilk and egg. 3. Pour the wet mix over the dry ingredients and carefully mix the two together using a fork. Don’t worry if there are still a few lumps, these will disappear in the oven. 4. 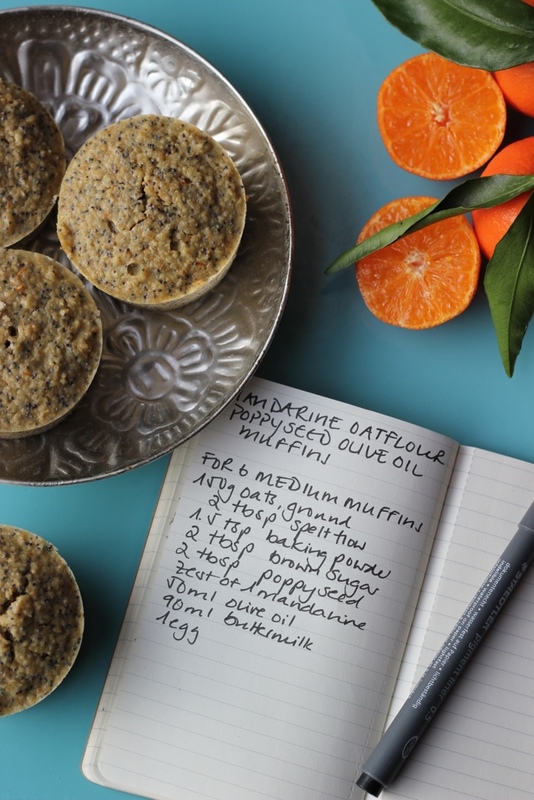 Distribute the batter between the muffin tins and bake for ca. 18-20 minutes or until a skewer inserted into the middle of a muffin comes out clean. 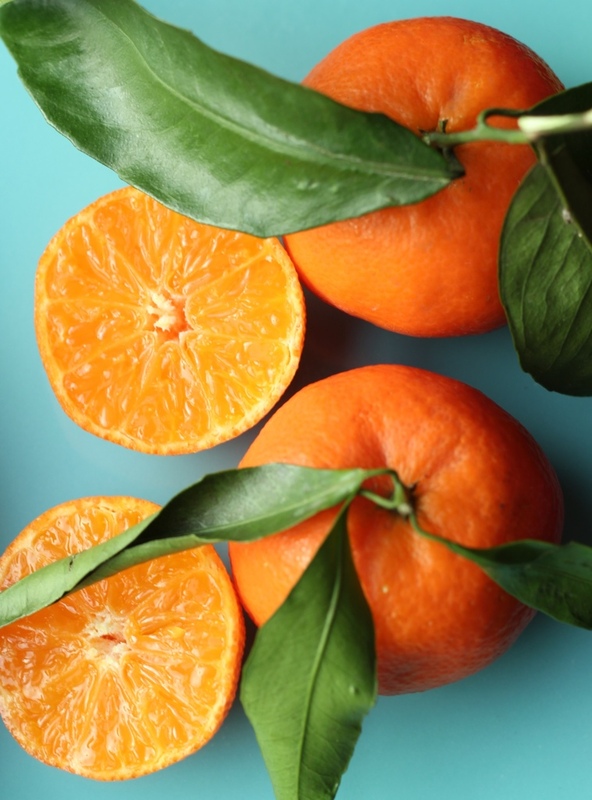 Those look great – love the presentation of the mandarins! I am definitely not complaining about the amazing food I am surrounded by. Although, dare I say it, I miss those London coffee shops where you can linger for hours reading the papers and drinking one flat white after another. Gulping down a scalding espresso standing at a bar is just not the same!